Which TV Brand To Buy In 2019 - Which? Unique Which? reliability data can help you choose a TV brand that lasts, as we survey owners of LG, Hitachi, Panasonic, Philips, Samsung, Sony and Toshiba TVs to find out which develop the least faults over time. Which TV brand stays fault free for longest? It’s issues with the picture that are the most common problem with TVs. Our research has found 17% of all faults were to do with the display. A new TV is an expensive purchase that we don’t make very often. Most of us don’t upgrade more than once every five or six years, so it’s vital you choose the right TV from the right brand. Knowing which brands develop the most faults and how quickly can be an important buying decision. That’s why each year in our unique reliability survey we ask nearly 10,000 Which? members to tell us whether they are pleased with their TV, or have experienced problems. Our survey data takes into account the reported fault rates, severity of these faults and the how quickly they occurred. 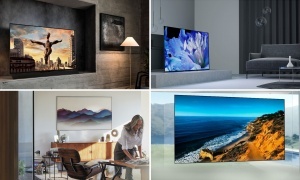 In our latest analysis we've looked at the performance of the biggest TV manufacturers – including LG, Panasonic, Samsung and Sony – and have calculated a reliability rating for each so you know which brand won’t let you down – and which has less reliable sets. While TVs don’t have as big a gulf in reliability as some tech areas, there’s still a sizeable gap between the most and least reliable brand. The most reliable has an incredible rating of almost 90%, while the least reliable can’t even reach 80%. The table below summarises this year’s reliability results. Brands are ranked by their customer score, which relates to whether their customers would recommend it. The more stars for reliability, the fewer the problems reported. Only logged-in Which? members can view which brands achieved the ratings and verdicts in the table below. If you're not yet a member, join Which? to get instant access. The above data is based on a survey conducted on 5,815 Which? members June-July 2018. It’s close between the three most common faults, but issues with TV displays is the most common. 17% of faults were with the screen. Problems in this area can range from small annoyances to severe issues that render your TV unwatchable. You could have a few dead pixels, leaving a small black area on your screen. Unfortunately there's no easy way of fixing this. But if it's simply that the colour balance seems a little off, head into the picture settings and see if you can correct it. Remote control issues accounted for 13% of all the faults recorded. Buttons no longer working is the main problem remotes suffer from. This could be the TV not recognising the input, or the button itself deteriorating to the point where it's unusable. 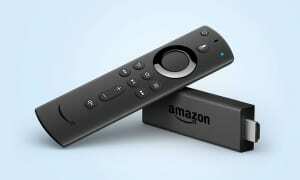 It's possible for the remote to stop working altogether, which means you would need a whole new one. TVs losing access to channels is a common issue, though this can be caused by several different things and isn't always the TV’s fault. Sometimes the strength of the signal becomes worse and the tuner in the TV can no longer pick it up, but it can also be a fault with the TV. The graph above shows how the brand that stays fault-free for longest compares with the worst brand, as well as the overall average. Which? members can see how brands compare for faults over a five-year period in the table below. Results based on feedback from more than 5,815 TV owners, surveyed in June/July 2018. Minor - a fault that doesn’t affect the product’s performance significantly or a fault that only occurs occasionally with minimal impact. This issue may be irritating or annoying but it isn’t frequently problematic and you can easily work around it. For example, one of the HDMI ports developing a fault. Major - a fault that has a noticeable effect on the product’s performance. This fault affects how you use the product and can be problematic. For example, a problem with the smart-TV software. Catastrophic - a fault that renders the product unusable, with the fault needing to be repaired or parts replaced before it can be used again. For example, the picture becomes completely unwatchable. Choose a brand from the list below to find out more detail about its performance in our survey. Table notes Average test score based on results of models tested in the past three years (as of 2 October 2018) that are still available. The customer score and brand reliability rating are based on a Which? member survey conducted in July 2018 of 5,815 TV owners. The customer score is based on whether members would recommend the brand to a friend, and reliability is based on members’ experience of that brand. Table last updated 2 October 2018. Find out how well Samsung TVs score for reliability, and how the most popular brand in the world stacks up against LG, Panasonic and Sony. See which faults are most likely to affect a Samsung TV, from problems finding channels and faulty remotes, to catastrophic screen failures and software problems. See how Samsung fared based on its customer score – we asked those in our survey how satisfied they were with its TVs, and whether they’d happily recommend one to friends and family. Only logged-in Which? members can view our exclusive reliability ratings and verdicts. If you're not yet a member, Join Which? to get instant access. 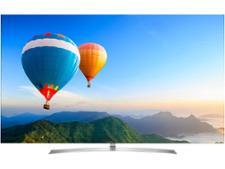 LG is one of the most popular TV brands, but is it the most reliable? See how it stacks up against its chief rivals: Panasonic, Samsung and Sony. 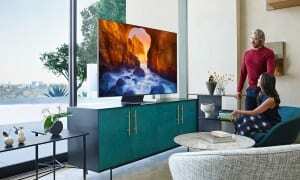 With problems ranging from minor issues with buttons on the remote not working, to catastrophic software failures that render the TV unusable, see which are most likely to affect LG TVs. Reliability is one thing, but are owners happy with their purchase? Find out how likely people are to recommend an LG TV to others. In past years, Panasonic has been one of the most popular brands, but with the Japanese brand losing market share to LG and Samsung, have standards slipped? 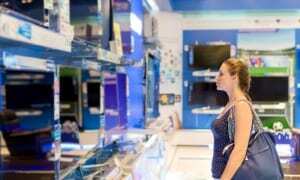 Find out if Panasonic TVs are still some of the most reliable around. Even with the best will in the world, some TVs will still develop faults. Find out which are most likely to affect Panasonic TVs. Panasonic was once the dominant force in TVs, but are people still a fan of its sets. Learn how satisfied people are with their TV and how likely they are to recommend a Panasonic to others. Four brands dominate the TV industry, matching each other blow for blow when it comes to technology and innovation, but how does Sony stack up when it comes to reliability? 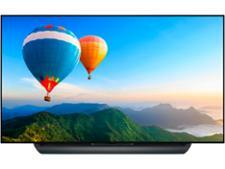 From minor issues with a TVs firmware, to devastating display faults that can’t be fixed, see what problems are most likely to affect a Sony TV. 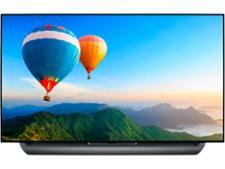 Are Sony TVs popular? We asked Sony TV owners how happy they were with their set and whether they’d be happy to recommend one to someone else. Every year we survey thousands of TV owners, asking how satisfied they are with their TV and how likely they would be to recommend it to a friend. We also track faults, taking into account when these issues occurred and how severe they are. We use this data to create customer and reliability scores for the most popular TV brands. Our reliability surveys, combined with our extensive lab tests, mean we can recommend the best TV you should buy. This data is crucial for our testing, too. If a brand falls far below the category average, we take away the manufacturer’s Best Buy awards and won’t recommend any of their products unless a marked improvement in reliability is shown.